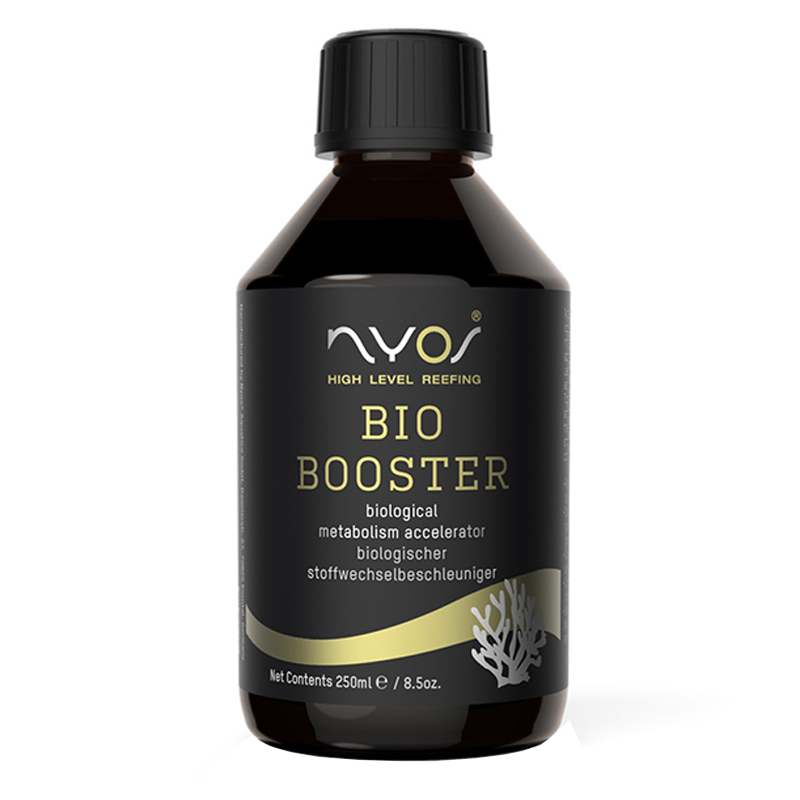 BIO BOOSTER reduces organic nitrites, nitrates and phosphates. Also your corall can use biomass resulting from this process as a food particulates. The vitamins and amino acids contained in this product promote the growth and the natural coloration of corals. 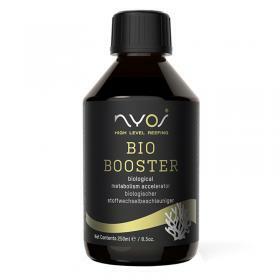 It contains more than 90 ingredients, including vitamins and amino acids. 2-6ml each 1000l per day. Reduce the dosage if you notice the appearance of bacterial film on the glass. Water, calcium chloride, magnesium sulfate, D-glucose, D-ribose, acetic acid, potassium chloride, potassium acetate, iron nitrate, ethanol, guanine, thiamine, folic acid, riboflavin, phenol, taurine, phosphate sodium dihydrogen, calciferol, glycine, L-alanona, L-arginine, L-cysteine, L-Lysine, L-threonine, L-tyrosine, ATP, other amonoacidi, vitamins, trace elements, preservatives.